London is built on a hidden maze of brooks, streams and rivers. These gurgling waterways once fed the River Thames, powered water mills and provided fish for the table. Almost all of these rivers are now lost, encased in brick and concrete and incorporated into the city’s subterranean drainage and sewage systems. 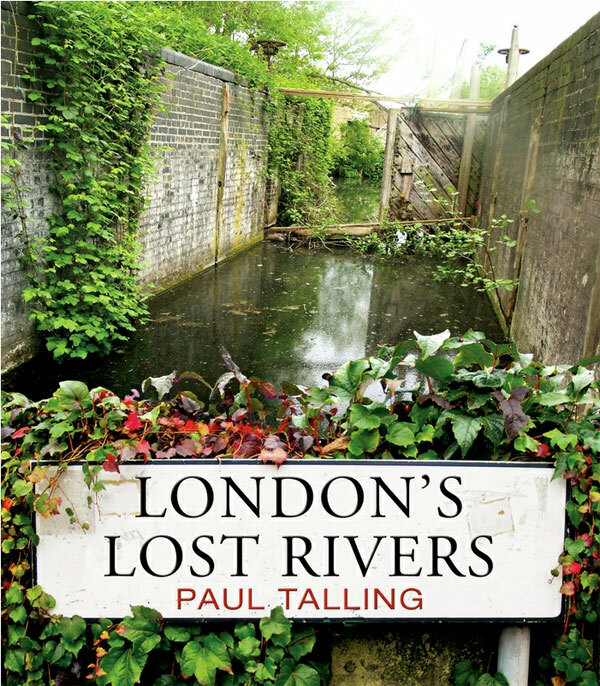 But the water still flows, and Paul Talling’s latest book, London’s Lost Rivers, shows us where. London’s Lost Rivers is generously illustrated with maps and photographs, and explores 30 lost rivers, waterways and tributaries. Talling investigates how these rivers shaped the city – forming borough boundaries and transport networks, fashionable spas and stagnant slums – and how they all eventually gave way to railways, roads and sewers. Armed with his camera, Talling traces their routes and reveals their often overlooked remains: riverside pubs on the Old Kent Road, healing wells in King’s Cross, ‘stink pipes’ in Hammersmith and gurgling gutters on streets across the city. Talling explores the lost rivers on foot, but as kayakers and canoeists we also have a unique chance to investigate this watery heritage, if we are prepared to brave the Thames tidal flow and choppy waters. The River Fleet, which rises on Hampstead Heath (feeding the Hampstead and Highgate ponds) flows through Camden and Kings Cross, and once had a Thames side esturary large enough to hold a small fleet of ships. It now trickles into the Thames from a single storm drain below Blackfriars Bridge. Most of the Fleet’s flow is swallowed by the city’s drainage system and diverted east to the Beckton sewage works. As we move along the Thames, other storm drains tell a similar story. The River Effra rises in Norwood and winds its way via Dulwich, Herne Hill and Brixton, before ending its subterranean journey at an outlet below the M16 building at Vauxhall. The River Tyburn starts its journey at Hampstead, feeding the Regents Park boating lake, before tracing an uncertain route to an outfall on the northern bank of the Thames, between Vauxhall Bridge and Battersea Power Station. A few Thames tributaries surive, such as the rivers Lee, Ravensbourne and the Washburn – all of which can be explored by the experienced paddler. Tidal flows, mud, weirs and urban debris can present significant difficulties, so these rivers should not be explored by the inexperienced. If you are interested in the history of London, and in the past that lies hidden beneath our feet, this book comes highly recommended. Other books which investigate London’s lost rivers include The Lost Rivers of London by Nicholas Barton (first published in 1962) and The Groundwater Diaries by Tim Bradford, in which the author goes in search of the lost rivers armed with enthusiasm, humour and extra strong lager.